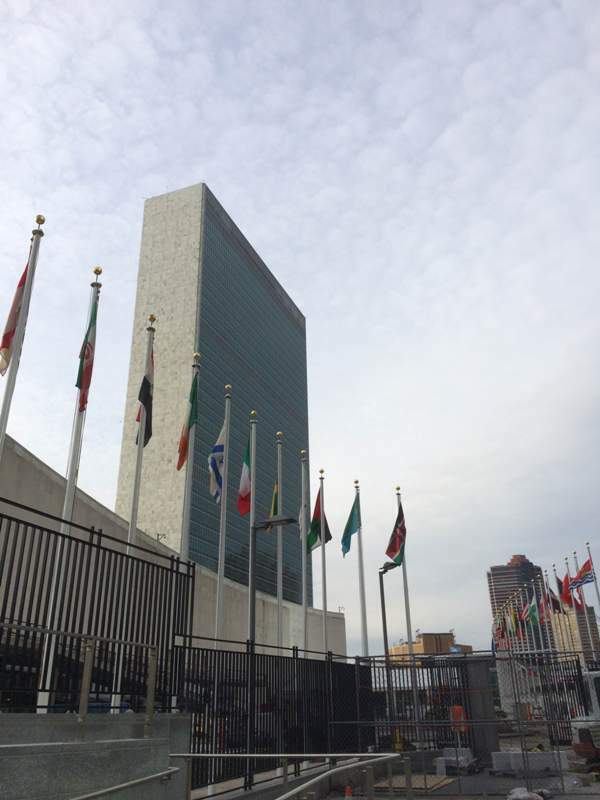 On March 16th, 2015, in UN Headquarters in New York, Status M was invited to present the Young men initiative program as part of the panel Responsibility of men and boys. Director of Status M spoke to the delegates of member countries along with NGO guests, about this pioneer program that has, since 2006 till now, worked with more than 30000 young men in Croatia, Serbia, Bosnia and Herzegovina, Kosovo and Albania, on gender equality, nonviolence and positive lifestyles. Commission on the status of women is the biggest global annual event on gender equality. This year, the focus of the event was on engaging men and boys in reaching gender equality in the world. This says enough on the importance Young men Initiative plays globally by setting milestones in providing positive model of engaging young men in transforming negative aspects of masculinity that lead to perpetuation of inequality and hazards for men, women, children and communities in whole. All the members of positive peer groups called Be a man clubs, BMC, can be proud of this achievement, as they all contributed to this success through their honest activism and work on prevention of gender based violence in their lives and communities. Young men initiative, continuously supported by Care international continues to be a leader in global work on engaging young men in creating a just society by engaging men and boys. At this point, program is delivered through work in schools, communities, capacity building for professionals, theatre, work with the police and centers for social welfare, prisons and youth offenders facilities; public advocacy, conferences, research, publications and other aspects of work, around the countries involved in this innovative initiative. YMI in Croatia is an example of how grass root initiative became institutionalized through cooperation with different ministries and public institutions (Ministry of justice, Ministry of science, education and sports, Ministry of social politics and youth, Ministry of interior, Institutes for public health, Gender ombudsperson, UNDP,…). YMI remains a movement, more than a program. Through last 8 years it has been developing, getting support on national and international level and has been engaging youth, youth workers, professionals, decision makers and the general public in the idea of the campaign Be a man- change the rules. YMI has resulted in the creation of 5 M-Centers, resource centers for improvement of professional work with young men in the countries involved (see the website of the Croatian center run by Status M). YMI continues to take the lead on engaging men in gender equality on the European level, through participation of first Croatian NGO focused on working with young men and boys, Status M, in the steering committee of the European Men Engage network. See more on the program and further success on the Status M website and on the program website. Thanks for your support. The video of Panel (min 9:15 – 14:20).